Meera K is a co-founder of Citizen Matters, the award winning media recognised as a pioneer of community journalism. She also helped initiate Open City, an urban data platform and Co Media Lab, a community newsroom and resource centre. Meera is an Ashoka Fellow. Meera is passionate about cities, community media, urban issues and local governance and civic tech. She believes the combination of in depth local journalism and community engagement, helps catalyse better cities. Meera was formerly yet another manager at an IT firm, working at large corporates as well as startups, holding varied responsibilities in the product development space. She is active in neighbourhood improvement initiatives and volunteers for projects related to transport, lake rejuvenation, organic kitchen gardening and solid waste management. Ashwin Mahesh is the co-founder of India Together, along with Subramaniam Vincent and a co-founder of Mapunity, a social-tech firm. He is also a former NASA scientist, social entrepreneur and Ashoka fellow. He is currently a member of Aam Aadmi Party, and was earlier the President of Loksatta Party Karnataka. Meenakshi Ramesh is a long time civic and community volunteer. She is an alumnus of IIM(A) and has worked at Crisil and Pratham, the Mumbai-based education non-profit. 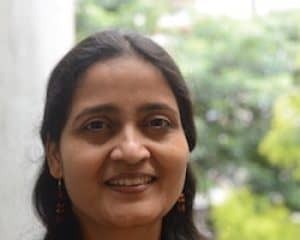 She has volunteered for Chennai City Connect and is especially passionate about solid waste management and other issues. Meenakshi anchors the Chennai chapter of Citizen Matters. She joined Oorvani Foundation as a trustee in 2016. Subramaniam (Subbu) Vincent was one of the co-founders of Citizen Matters. 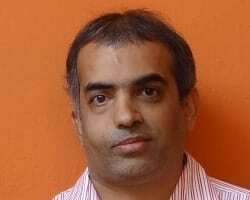 He also co-founded India Together, India’s national public affairs e-magazine. Subbu mentors journalists and editors, and teaches seminars at journalism schools from time to time.